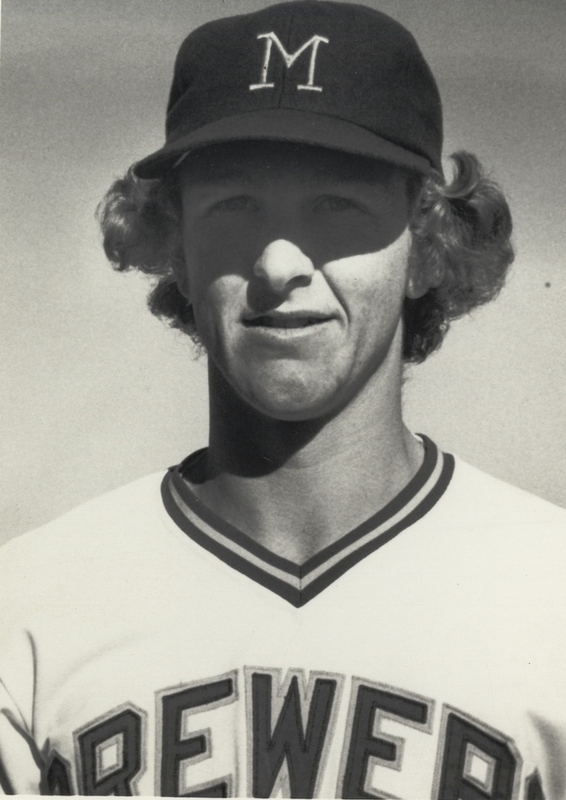 Drafted at age eighteen, Robin Yount became an everyday starter for the Milwaukee Brewers in his first season and played his entire major league baseball career (1974-1993) with the Brewers. Yount led the team to the World Series in 1982 and earned two league MVP awards (shortstop, 1982; centerfield, 1989). Collecting more hits during the 1980s than any other MLB player, Yount finished his career with 3,142 hits and 251 homeruns. A three-time All-Star, Yount holds Brewers’ team records for games played, runs scored, hits, doubles, triples, homeruns, and runs batted in. He was inducted into the Baseball Hall of Fame in 1999. ^ “Robin Yount,” National Baseball Hall of Fame and Museum, Hall of Famers, last accessed July 11, 2016; “Robin Yount Stats,” ESPN, last accessed July 11, 2016. ^ “Robin Yount #19,” MLB.com, last accessed July 11, 2016; “Robin Yount,” Baseball-Reference.com, last accessed July 11, 2016. ^ “Three for Cooperstown: Ryan, Brett, Yount Elected to Hall of Fame on First Try,” Sports Illustrated, January 6, 1999, http://sportsillustrated.cnn.com/baseball/mlb/news/1999/01/05/halloffame/index.html, last accessed October 12, 2012. Baggot, Andy. Robin Yount: The Legend Lives On. Milwaukee: Milwaukee Brewers Publications, 1995. Creamer, Robert W. “This Robin Is a Rare Bird.” Sports Illustrated, September 27, 1982. Gammons, Peter. “Forever a Kid.” Sports Illustrated, April 30, 1990. Wulf, Steve. “Robin Yount.” Sports Illustrated, February 21, 1994.